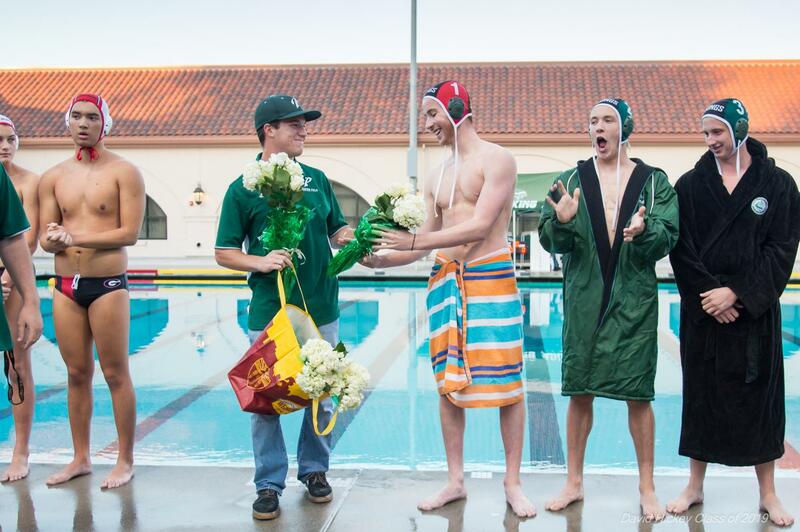 Paly fall sports have officially come to an end, leaving behind historical records and exciting breakthroughs. Carried by new coaches, fresh talent, and team-wide dedication, the Vikings have once again proved themselves and showed up to tough rivals and post-season playoffs. Most recently, football’s revival season came to a untimely end this Saturday, losing in the semifinal round of CCS to the MA Bears, 17-7. The team ended with an impressive total record of 10 wins and three losses, going almost undefeated in league with the exception of their gritty loss to Wilcox, who would go 6-1 in De Anza. 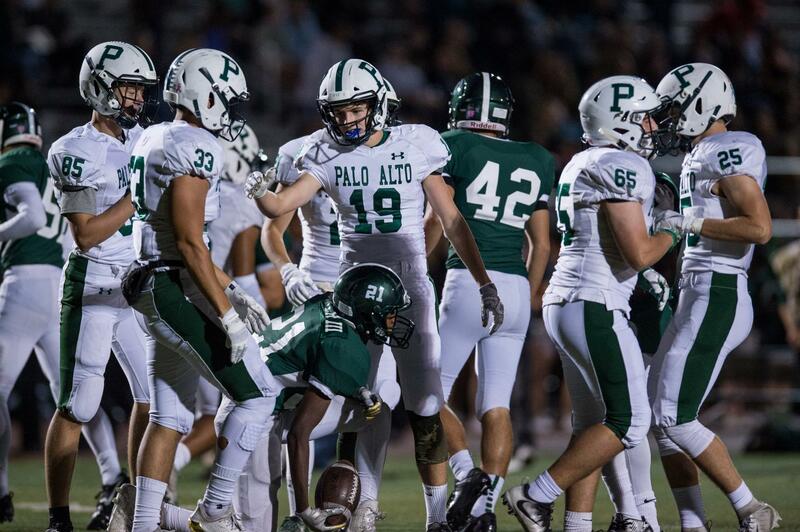 Under new coaching staff including Nelson Gifford, who has established his name in the Palo Alto community after his first season leading the Vikes, the football team delivered a much-awaited return to glory after two seasons of dry weather. The team finished 8th in CCS, and will miss the contributions of many key players who will graduate in the spring, including QB Jackson Chryst, running back and DE Aiden Chang, wide receiver and CB Paul Thie, and running back and MLB Wes Walters. The girls volleyball team boasted an impressive record themselves, finishing 11-1 as the number one team in SCVAL. The team went on to play in Open Division playoffs, and in the first round eliminated long-standing champion St. Francis. After a tough loss in the second round, however, the girls drove to Clovis to play California’s fifth-place Buchanan High School in NorCal playoffs, which unfortunately was where their season ended. 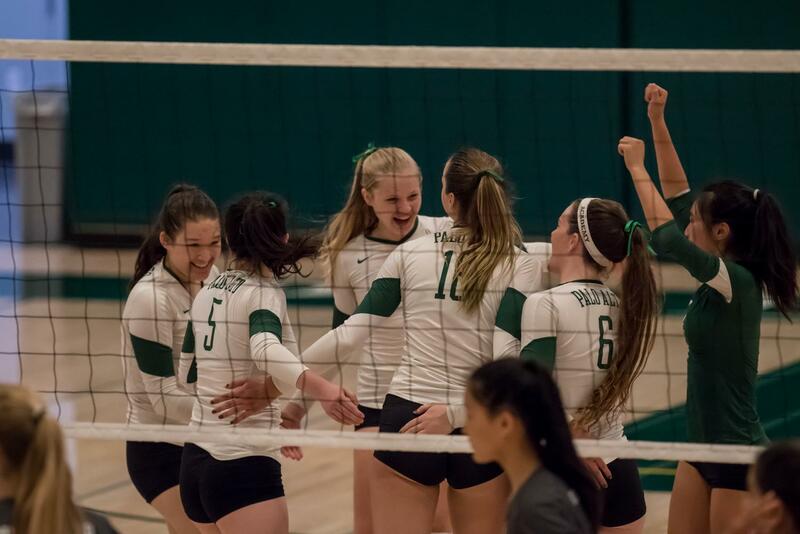 Despite the unsatisfying close, the team’s successful season until that point was another showcase of Paly’s continued greatness on the court. 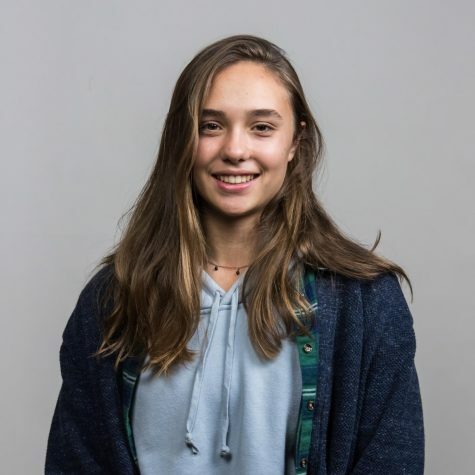 Although the team will miss hitters Mallory Kuppe, Ashlyn Callan, Maria Fletcher and Siena Brewster, the team boasts much young talent and has a very promising future. Outside the gym, the legendary runners of the cross country team finished their season on Saturday at the CIF State Championships. After multiple rescheduled meets due to poor air quality, extending the end of the season by two weeks, seven Vikings finally took on the course at Woodward Park in their final race. With a stellar ninth place finish for Henry Saul and multiple medals for the Palo Alto runners, the season closed on a high note. The boys team couldn’t have made it without the contributions of Donald Taggart, Alex Evans, Benjamin Huang, and John Tayeri, who will be missed next year, as well as younger talents Ian Matheson (‘20) and Alex Selwyn (‘21), who together qualified for the final round of states at the CCS Championship Meet earlier this month, squeaking in at third place. Juniors Ella Ball and Miranda Jimenez continued to shine at this meet, coming in 11th and 23rd respectively. The younger runners will continue to train under coach Michael Davidson after a great season, and will be sad to lose a host of senior runners including Zoe Sid, Julie Meng, Felix Minami, Caity Berry, Maya Wilson, Zoe Douglas, Andrew Cote, Caroline Elarde, Sufi Kaur, and Philippe Rerolle. 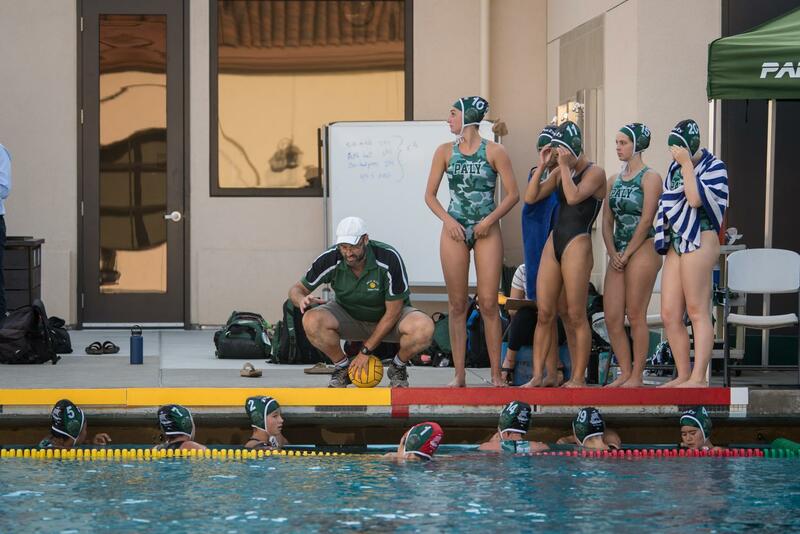 In the pool, the girls water polo team ended on a tough loss against Homestead in a league playoff game at home. The team struggled through a tougher season against difficult opponents, missing the star squad that graduated last year. However, captains Grace Rowell and Esme Stotland led the team through hours of dedicated practice and successful tournaments, leaving the season with good memories of their four years in the pool and leaving a legacy of positivity, passion, and discipline for the upcoming team. This year the team will sadly say goodbye to Courtney Kernick and Estelle Martin as well. 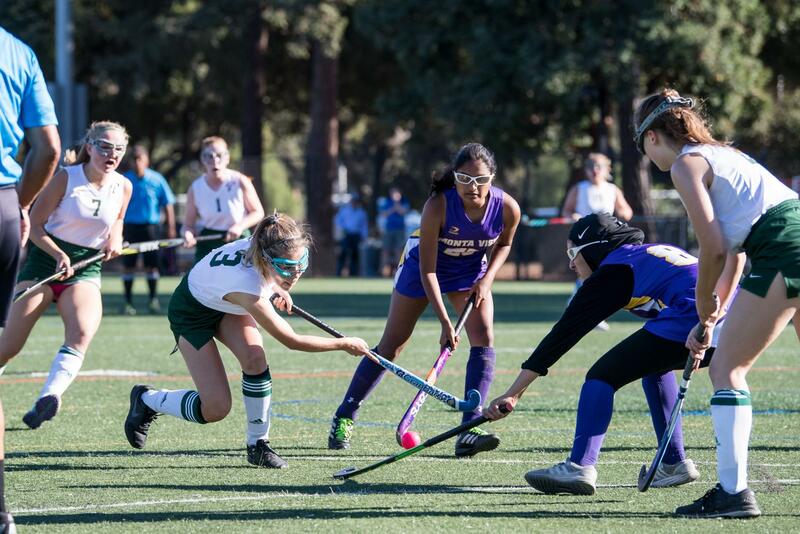 The brand new team of field hockey had an exciting first season under coach Jenny Crane, with 20 passionate players ranging from freshmen to juniors. Although it was a building season, and the team was thrown against tough competition without much time to get experience playing together, the team has showed great courage and dedication, and can only go up from here as they look to continue together next season. The Vikings came away with two wins against Monte Vista and had great contributions all season from Lexi Gwyn (‘20) and Georgia Cowie (‘20). Finally, the boys wopo team finished their season with a bang, outplaying league rivals Los Altos in the CCS D1 championship two weeks ago and taking home the title. This was a historic win, as Paly has never won the playoffs in the top division, and was an iconic way to cap off an exceptional season. With two permanent ejections and two more players sent off in the final minutes, the Vikes held on to a one-point lead to defeat the Eagles 13-12 with Superfan Dan and the rest of the Paly crowd cheering from the stands. The team will miss seniors Javid Alasti, Ben Rappaport, Zach Phillips, Otto Berndt, and Jack Stefanski, who led the team everyday in practice and are key to the heart of the team. The younger players are certainly not overshadowed in talent, however, and Coach Ethan Look will lead the team next year to hopefully follow up their impressive finish and 20-win record.